Finding the best way to transport and store drums is a very important way to protect your investment. I’ll go over how to protect your drums for storage, and I’ll show you the different options for traveling with your drum set whether it be in the car, plane, or shipping with a carrier. The cheapest and easiest way to transport a drum set would be fitting all the pieces in a car and doing the drive if it’s feasible. You have complete control over them versus handing them over to a carrier, and best of all it’s free. 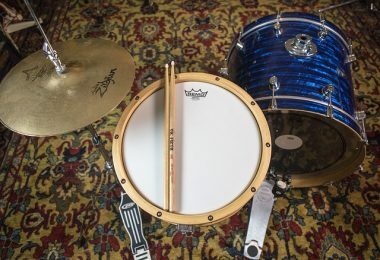 I’d recommend following the steps listed down below in this article for packing them all into a small space, or if you prefer to keep them separate you should get some drum cases at the very least. The easiest way to transport drums if you can’t fit them all into a car is to not transport them at all. 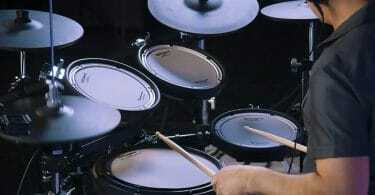 See if renting drums is a viable option at your destination. 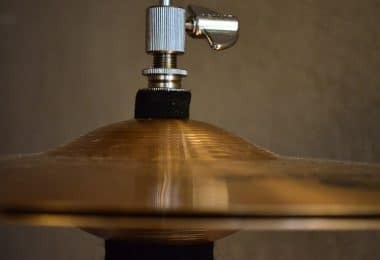 Not having to worry about damaging your drums or losing them will take a huge load off your back. 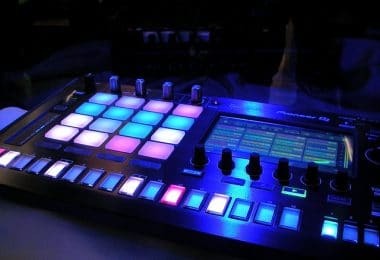 Most big music stores like Guitar Center and Sam Ash have drum rental programs, so be sure to check in with them as well as any small music shops in the area. The viable options here are FedEx and UPS. The United States Postal Service usually has size restrictions on what it will ship or pick up, so it’s best to go with the other carriers. FedEx and UPS will have drop off and pickup services available, and you can get extra insurance for your drums when you ship with them (highly recommended). I would call first to ask any questions you might have regarding pricing for your specific box weights and sizes. One problem with shipping drums is that you need to have a place to ship it to. If you are staying at a hotel this should be ok, but a lot of touring drummers hop in a car and drive around from place to place so there is really no ideal location to ship to. Probably the least ideal option of the bunch, flying with your drums is still viable if you have no other alternative. As long as you pack everything correctly and stay within the size limits specified by your specific airline you should be good. 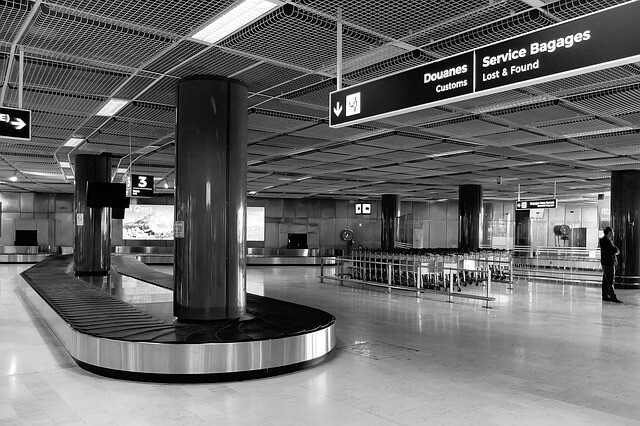 The TSA does not have any size or weight restrictions - that all comes down to the airlines so make sure to call and see what the restrictions are. The prices can add up quick though. For instance when flying with Delta, you're allowed up to 10 checked bags, but you'll pay $125 for your third item and $200 apiece for items four through 10, and you'll pay extra if items exceed 62 inches or 50 pounds. As far as packing goes, you’ll probably want to avoid sticking everything in a box and taping it shut since the TSA might want to open it up and take a look. Your best bet is going to be packing all the drums in hard shell cases and filling the voids with as much packing material and blankets as you can for extra padding. 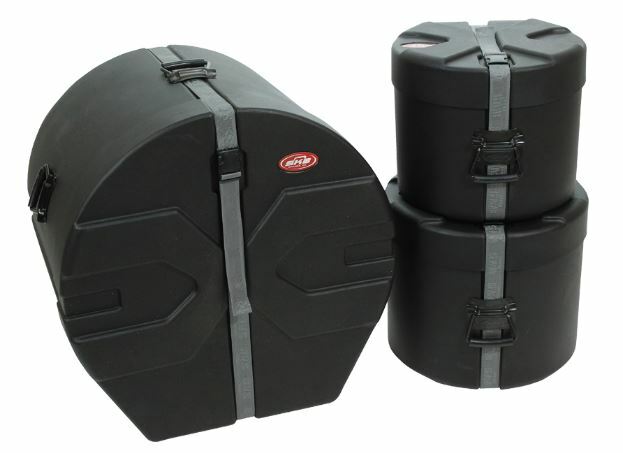 SKB makes some really great hard shell drum cases in a variety of shapes and sizes that are perfect for flying with. Check them out on Amazon here. Keep in mind that if damage occurs during transit, you'll only be reimbursed for the "depreciated value" of each item, which is bound to be far less than the cost to replace it. This is why it’s super important to get insurance for your drums when flying. The best and most obvious way to transport drums locally is to put them in a car and drive there. If your car is too small, consider taking multiple trips, getting a friend to help, or hire a small/medium-sized moving truck for a day. 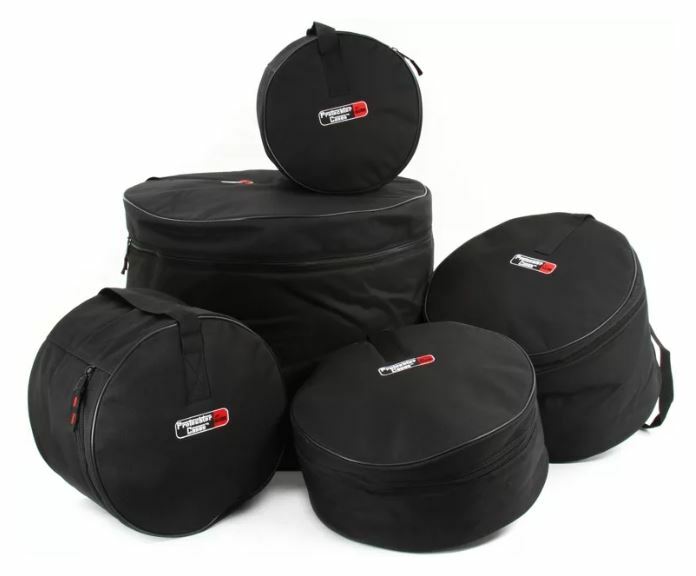 Make sure to protect your drum shells by putting each drum into its own padded bag or hard case. If you don't have a lot of space and have the time to break down your drums, follow the step-by-step guide further down in this article for how to pack all your drums together in one box. A great way to keep all your accessories like stands and pedals together and in one place is to use something like the SKB Large Drum Hardware Case with Handle and Wheels. This is great not only for transportation, but for easy storage around the house for extra gear. If you have to pack your drums for shipping or storage, it’s best to try to nest all of the drums inside of one another instead of packing each drum separately. This will greatly reduce the cost when shipping and it will also reduce the space needed for storage. Step 1: Strip the hardware. Remove any stands, tom legs, and supporting hardware around your drums. These will be packed toward the end. Step 2: Pack the bass drum with hoops removed. Remove the hoops and drum heads from the bass drum and remove the claws that were securing the hoops in place. Place your bass drum heads inside the bass drum head box if you have one. Next, wrap your bass drum hoops with bubble wrap and place them on to the bass drum shell. The bass drum should now be hollow so you can pack it later and then nest all the other drums inside of it. Step 3: Wrap bass drum, floor toms, and rack toms. Wrap bubble wrap twice around the bass drum and floor toms and secure with tape. Next use scrap cardboard to cover the outside of the floor tom. Tape this well with packing tape. Do not use something like duct tape or scotch tape as it will lose its adhesive qualities causing the packaging to come loose. Next repeat this for all the drums in your set. Step 4: Pack your bass drum. Find a box just big enough to fit your bass drum. Line the bottom of the box with some bubble wrap and a thin layer of scrap cardboard. Next, reinforce the interior walls of the box with more scrap cardboard for extra stability and protection. Now place the bass drum into the box and put a layer of scrap cardboard along the inside of the bass drum shell wall. Step 5: Next the floor tom and rack tom inside the bass drum. Place the wrapped floor tom inside the bass drum making sure there’s no space for the drum to move around. If there is, place some packing paper between it and the bass drum. Next you will take off the top head of the floor tom and insert a wrapped rack tom inside. Continue nesting the drums from biggest to smallest. If the box is way too heavy to move, then it’s probably best to do 2 or 3 boxes instead of trying to fit everything into one box. Step 6: Protect and pack the smaller hardware. First wrap all the tension rods in bubble wrap so it doesn't move around and scratch the shells. Place these on top of the smallest rack tom in the box. Step 7: Fill all voids and add floor tom legs. 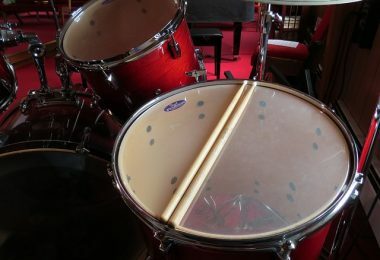 Fill up all the remaining space inside the floor tom with packing paper or newspaper. Now reinstall the top floor tom head and make the lugs fingertight. Now fill all the available space in the box with more packing paper so nothing moves around. You should have enough room on top to place your floor tom legs on top of the extra packing paper around the edges of the box. 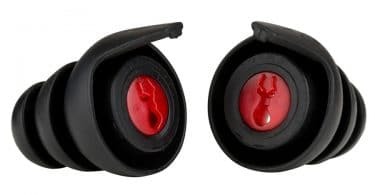 Make sure to pad these so they don’t damage the drums. Step 8: Add bass drum heads. Place the packed bass drum heads on top of everything. If you don’t have a drum head box you can just use a layer of cardboard scrap to protect the drum heads. Step 9: Fill up remaining space on top. You should aim to have about 1-2 inches of clearance on the top of the box. If you have too much you can either fill the void tightly with packing material, or better yet cut the corners of the box in order to fold down any excess cardboard. In essence, you are extending the length of the flaps. Step 10: Close the box. Close up the box and give it a good shake to make sure nothing is lose or moving around. If everything is secure, go ahead and tape it up. Don’t skimp on the tape here and make sure to get all edges and sides. 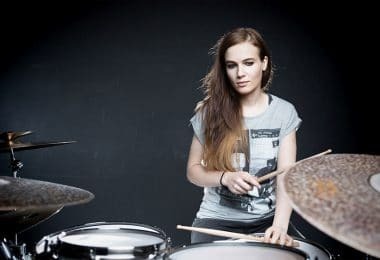 When storing drums, you can either use the steps listed up above to securely package the drums in as little a space as possible, or you can use drum cases if you’d rather not disassemble everything. If you’d rather use soft case instead of a hard case, I’d recommend the Gator Padded Nylon Bags. They have a collapsible design for easy storage, they have a 10mm padded and lined interior, and they are super durable on the outside so they won’t wear and tear easily. The big enemy here is going to be temperature and moisture, especially if you are storing your drums for long periods of time. Try not to store them in an attic or garage if you can help it. Wood is organic so it will react dramatically to changes in temperature and moisture, while metal drums can corrode over time in a moist environment. Covering your drums in plastic isn’t a very good idea since it might trap in moisture and cause problems. You’re best bet is to have the mindset that wherever you’d be comfortable sitting for long periods of time, your drums should be too. One last tip is to make sure you disengage the snare wires when storing a snare drum. Keeping the snares tight over a long period of time will stretch them out.